Em yeah, as i said i am to stupid for linux so i have no idea what the issue is because i dont use it. I have someone who got it working on linux but he is not online right now. But i have no idea how to fix that. Sorry ^^"
They suggest that you try oracle java 8 instead because that ships by default with the JavaFX Library. 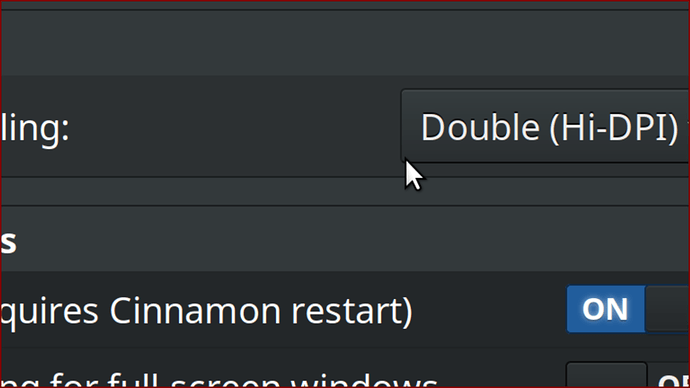 I just tried this with a fresh installation of Linux Mint 19.1 in a virtual machine and managed to reproduce the bug. It seems like openjfx cannot be loaded if the default java version is java 10 (or java 11). Just noticed something, you showed a screenshot of OpenJDK 8 instead of Oracle JDK 8, I might be just a Ubuntu User who happens to have Oracle Java 8 installed, but is the Oracle Version installable for Linux Mint too? 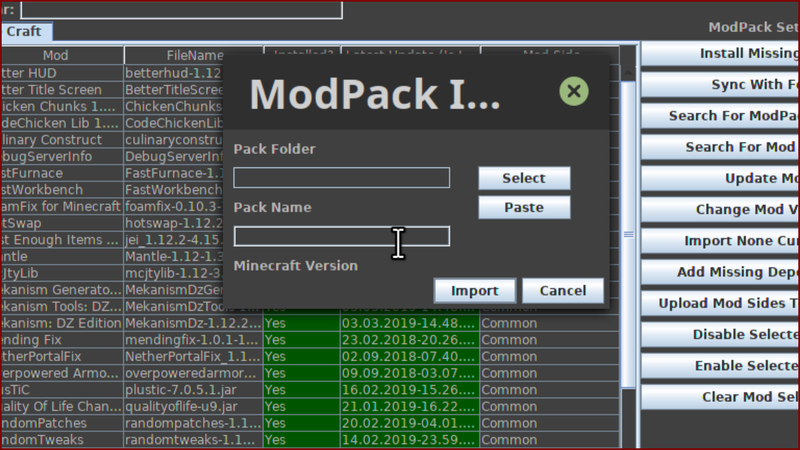 Added: Row Column for the ModPack List. Added: MassUpdate option to prevent that you have to update 9k Mods at once before you can actually use the tool. This is by default disabled so that you at max have 1000 mods be checkt. Changed: Auto Update for repository is by default enabled now. Changed: Repository AutoUpdate happens now every 15 minutes instead of 30 Minutes. Just to make sure a backlog happens. Added: Print ModPack Option which will print the ModList into a txt file allowing easier sharing of ModPack Contents. Added: Adding Mods has now a tag option. Added: Version Changes show now which release type they are. Fixed: Precaching wasn’t able to detect already installed mods. Fixed: Performance issues of the MultiView Changelog. Added: Added a Side System into the Programm which allows to Export packs based on their side. Also repository can be set based on side. Fixed: ModRepository could not handle 100k Versions when searching was cleared the UI would lag for a second or two. Added: Dependencies are now downloaded from the curse page. (Highly suggested on first start to force update all mods via Options => Repository => View Repository => Force Update All mods). Because that will only take once a long time. Added: Dependencies get now auto added to modlists. Added: When Clicking on a dependency and Selecting open ModPage will now cause that the Dependency will be opened instead of the mod that has the dependency. Added: Keeping Track of when a Mod was created. Added: A Validation System on mods. If ModFiles are not present on curse it will be not allowing to add that version. Fixed: LessData recreation & Dependency System is no longer redownloading everything everytime a mod is downloaded. Added: Fully Implemented the better ModFinder. Fixed: Infinite dependency download loop. Changed: Dark mode will not enable by default. Fixed: Downloading Dependencies & Better File Comparer (MD5) kept getting stuck. Fixed: (Hopefully) Print packs should now work with Mac. Fixed: Typos. Ofc i am moron with that. Fixed: Coloring of the Tab was bad in dark mode. Also hover tooltips have now a better color too. Added: Dependency System is now shown in the main ui and can be toggled to be visible. Added: Install Dependencies button in the main UI so if something is missing and installable then it will do that. Added: Toggle for the dependency View because it is failing if mods do not keep the mod dependencies up to date. Fixed: Issue with wrong dependencies being loaded. Hey, I havent been able to add mods since I updated to 1.3. Logs are empty but I recorded what the behaviour looks like. @xt9 yeah we are aware of that issue. That was me something breaking in the code -.-"
That will be solved in the next patch. I came back to this when I got time to kill. I finally running this client (1.3v) as I speak and hopefully it will work form here! Basically this sounds weird but users should try to wipe their distro of Java (completely with the auto remove command) then reinstalling with the distro recommended sudo command THEN following up with the openjfx installation (it will add JDK again and a few other things). That should at least get the client running! Apparently the issue I had with that showing unrelated updates is that the mod were showing for 1.13.2 because the Double-Hi-Dpi or whatever interface scaling was too big for the app. Also why isn’t JEI updated already even though I am forcing the repo to update and linking the “question able” mod to the project’s page? I literally cannot get this to work even though this was a “release” update. After DUMPING the data contents and doing 800 cache size PLUS putting all of other mods it had finally EVENTUALLY accepted all of the mods I had. Phew I hope sooner or later it will be much easier than doing all of that. How is that even possible? Could you provide pictures of that because i can not even imagen what you told? Linking a Mod to the repository just starts to track it, and search for updates if needed. The Update itself is only done if you are requesting it. Which you can do in the MainUI. That is 1 button press and it asks you to which version you want to update too. That is intentionally that way because blindly updating if a version is broken is not a good idea. Why do you have to dump data to add mods. It could be that it does not know the mods, which it can not find out by just checking them, thats why precaching is a thing. Though the “Add Mods to a Pack Via Curse Links” is at this moment broken but will be fixed in the next patch. Other then that i ask you maybe to provide exact steps of what you did or a video to show how you did it to see if it is a issue of the software or a usererror. As you see because of the scaling for some reason the app doesn’t auto scale or even allow me to expand the window. The only exception to this beside the main app window and some. However most other windows do not resize or allow for expansion. So you have to set that to “normal” in order to even use some of the advanced features of the app. Like importing/exporting a pack. Ahh I gotcha that all make sense now, thanks for further explaining the outstanding issue to me. Hopefully that will out sooner or later. As I believe that why there were this issue in the first place. Because even if I had to I could always point it right at the JEI new version if it doesn’t “know” it yet. So the Issue was that the Application didnt use a proper UI Scale? Yeah that seems to be a common problem with simple programs that use outdated Graphics Systems. Would definitely require some research to fix the UI Scale Issue. Just trying to make sure the Issue is clear for both sides. Thanks. 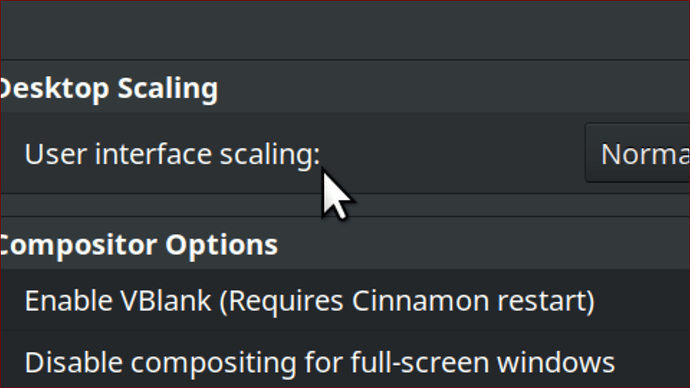 Yeah the scale thing is a bit of a trouble, the main issue with the “Resize Option” is that it breaks the windows completly that are fixed in size for the whole reason that they are a fixed design that does not autoadjust to things. There is not a real layout for such things sadly. About the other thing, we will see that the existing bugreports fix your issue. If not then we can dedicate time to fix it. You use Swing right? Add a Scrollbar Pane with horizontal and vertical scrolling at the outer most layer of your GUI if it doesn’t support scaling, that way you can scroll around if needed, like when you’re on a small Screen, while keeping your fixed Size GUI Design. You are welcomed, hopefully this get better and that Curse flipping reply to my tickets I put (they didn’t even sent me where to update the existing so I had to make a whole new one as an “update” to it). As they saying that the “manifest.json” doesn’t exists and it may due to my error but I reuploaded it and it was auto rejected for the same reason). Update the Project ID of your page in the manifest.json and zip up the overrides+manifest.json themsleves instead of shoving them into a folder. I just wanted to pass by and say thank you so much! As a Linux user, building and maintaining packs was always a chore for me, not to mention formatting them to the curse format so my friends could download the packs. And just like that, boom, problem solved. So yeah there are still room for improvement and some functionalities are a bit unintuitive, but the things that are already there make up for it a thousand times. Thanks again, and if i can be of any help troubleshooting things, let me know. Did you export the pack? And if that was the case did you select “Export In Curse Format”? Because else it exports it into the ModPackManager Format to make things easier for the MPM. For the “Unintuitive” things, or issues in terms layouts etc it would be nice if you could throw in a couple examples. I will note them down when the next patch get started and try to improve these things. Ofcourse if you have exact ideas how to improve things you can state that too and we can talk about that. If these things are possible, then I am happy to implement them.